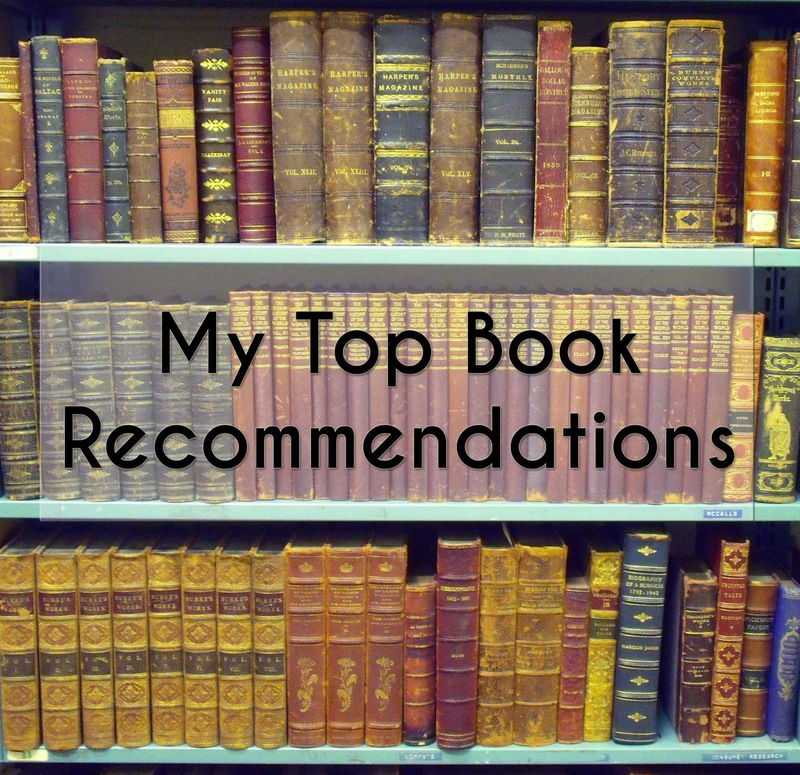 My Top Top Book Recommendations! Recently, I've been in a real book slump. I can't get into anything! I try and try, and nothing I start reading catches my attention. It's a little tricky to find time to read these days, but I adore books, and there was a time I would go to the library and take out 10 books, devour them in a week, and go back for more...but now? I have to really, really fall in love with the book to read it all the way through. When discussing books with friends, I often resort to the same book recommendations; these are the books which I wish I could go back and re-read again, without knowing the ending. The books which grab you and toy with your head and heart until you're done, and then you can't stop thinking about them. I compiled my list of top books I've read over the last 5 years or so; these books moved me, stayed with me, and are ones I wish others would read so that we can discuss them together! What's the #1 book I always, always recommend people (of all ages and genders) read? It's about growing up, the world, love, parents, and the feeling that nothing around you is stable. Mind you, there are hundreds of other books I adore, but this list seems to be the ones I hear myself suggesting time and again.